S’mores Chocolate Chip Cookie Ice Cream Sandwiches – The perfect summer treat for the s’mores lover and ice cream lover in all of us. It’s the last day of S’mores Week 2017!!! My friend Dawn celebrated her birthday last week so I’m dedicating these waffles to her. It’s Friday! It’s Pie Day! Anyway, I am looking forward to making a batch of Ham and Cheese Sliders to snack on during the all-day coverage. 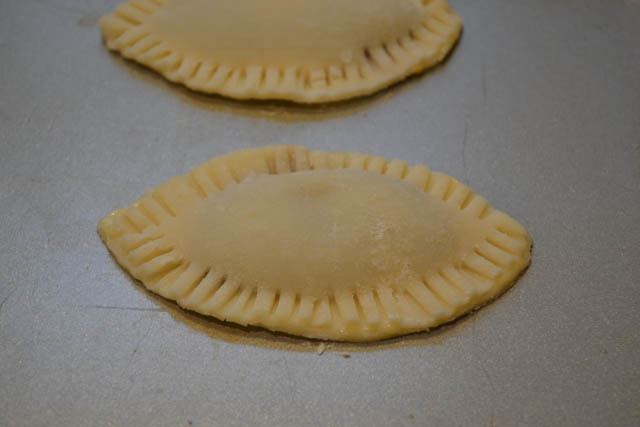 As well, I’m definitely making another (mini) batch of these Chocolate Football Hand Pies. These are perfect to enjoy during The Big Game! They are hand held, quick to prepare, and a great sweet treat to finish off a day of salt, savory snacks. 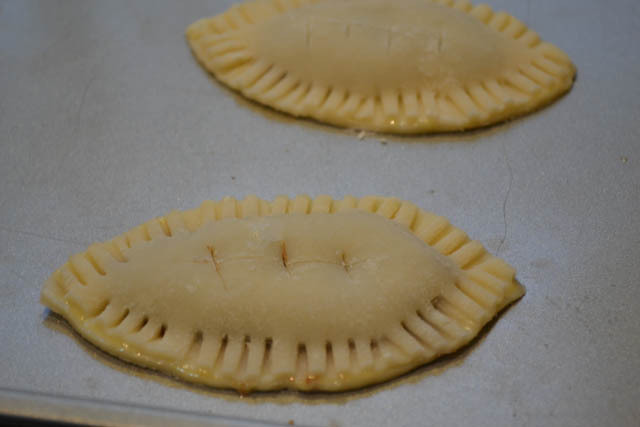 I suggest that you prepare these in the afternoon so that you can just pop them in the oven at half time to enjoy them warm during the second half! PS- I think these 2 are ready for The Big Game on Sunday! Okay, I just wanted to share some pics! ha! Prepare your egg wash by beating 1 egg with 2 tablespoons of water. 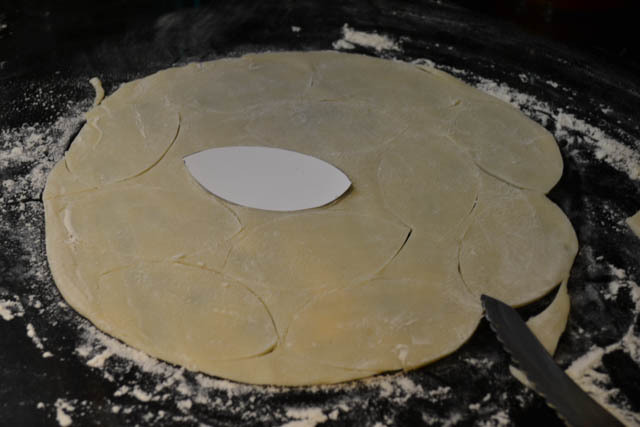 On a floured surface, smooth out the sheets of pie dough. Using a cookie cutter or stencil, cut out the footballs, at least 24. Lay out half of the footballs on your non stick cookie sheets. 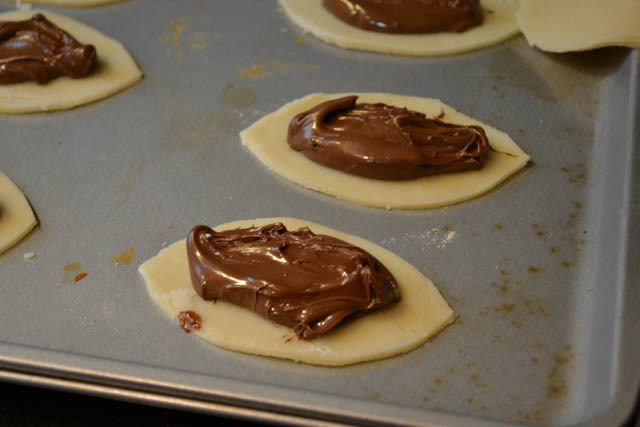 Put a generous tablespoon of Nutella in the center of the football. Then put a bit of egg wash along the edges. Place the top football on the bottom and seal the edges with a fork. Then lightly brush the top with the egg wash and using a knife, gently slice some football laces into the center of the top. Bake for 12-14 minutes. Remove from baking sheet quickly and enjoy warm!